UFO’s don’t be fooled, they’re just demons. 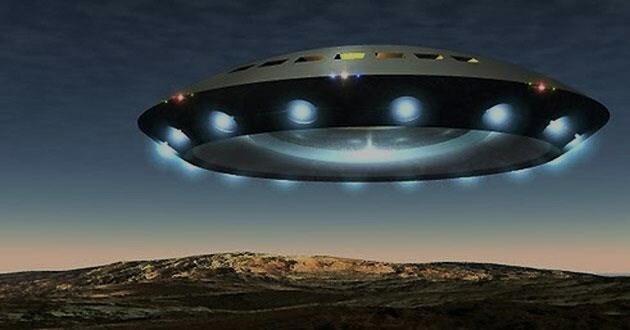 We’re in the end times & know to expect an increase in “UFO” sightings along with other “wonders” in the sky. A few days ago someone tweeted a photograph of a cloud formation. In the formation, quite clearly, were a few large demonic faces and a few other smaller ones. There was no doubt as to what one was looking at; horrific and ugly and evil faces. (I am purposely not attaching that photo) She had shown it to a few of her friends and the contrast in what people saw was alarming. Some saw demons, others thought it was God. This is so utterly mind-blowing to me that anyone would or could confuse a hateful, demonic face with God! Am I saying we will become “pillars of salt” goodness NO! I am warning us not to get transfixed with the “awe” of seeing these “spaceships” when they start appearing in numbers. And they will. It will be so prominent and on every television station, Twitter and Facebook will be completely fried with people tweeting and sending videos, photos, goodness we have so much technology today, no one will not see it. We should not be among those who are mesmerized by these events. Once these “E.T.’s” unveil what they really are under their mask as alien saviors, People will be running for their lives. Even with incredible, sensational special effects from Hollywood as a desensitizing preparation for what will be revealed, some are going to literally fall dead in their tracks. When Christians give demonic activity or satan more credit then they’re worth, we fall into a dangerous territory. Movies such as The Exorcist, or Rosemary’s Baby, (pardon that I’m not up to speed on the latest ones and I have interest in getting caught up.) no Christian should be watching it, it gives credit to satan the entire length of the movie. When these demons begin arriving, we must train our focus on Jesus, look away and have nothing to do with our enemies! 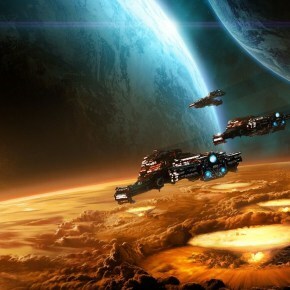 Sure, our curiosity will be inflamed like anyone else, I mean their transport will be technological marvels. Plant earth visited by other life forms, wowza! DO NOT BE DECEIVED. They are NOT here to help us but to further the diabolical, destructive plans of the enemy of our souls. By giving them all the attention, the “ooh’s and aw’s,” endless media, is giving these malevolent beings glory and attention that must be directed to our God, the True God. Think about that. Several times in the Word of God we are warned that it will be as the “days of Noah”, so what was happening in the days of Noah? Genesis 6:5 “Then the Lord saw that the wickedness of man was great in the earth, and that every intent of the thoughts of his heart was only evil continually.” And if I may back up a verse, here’s is what some of that evil included. Genesis 6:4 “There were giants on the earth in those days, and also afterward, when the sons of God came in to daughters of men and they bore children with them. Those were the mighty men who were of old, men of renown.” The degeneration of the human race was proceeding rapidly, in spite of a few godly men such as Enosh, Enoch, and Noah. Ever wonder about some of the ancient petroglyph’s and pictograph’s, these huge rulers and kings? Bizarre beings, all sizes, some with what appears to be a cross breed of human and animal, others with six fingers? Odd shaped and circular transportation vehicles in the sky? 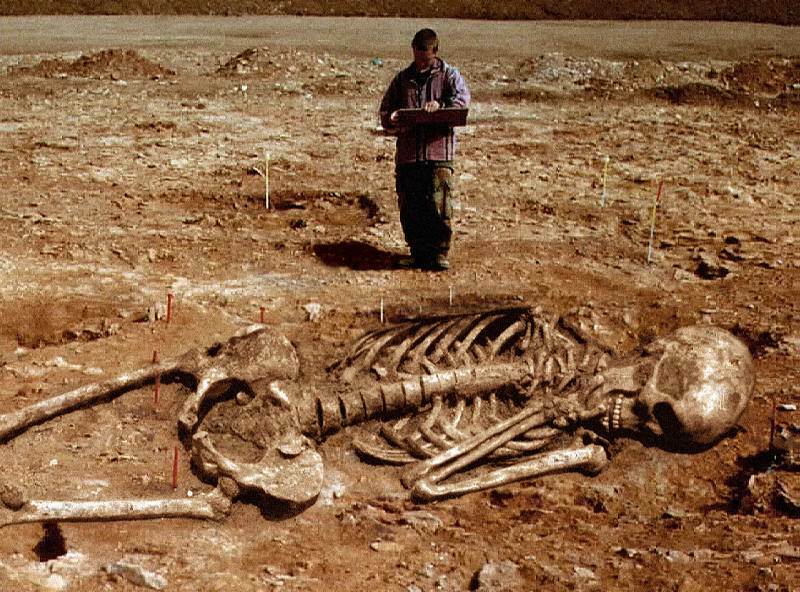 Archeological finds with super-gigantic skeletons? Hear this: have no part of those unclean things! 2 Corinthians 6:17 “Therefore come out from among them and be separate, says the Lord. Do not touch what is unclean, and I will receive you.” God desires exclusive, loving relationships with His people. Look at Genesis chapter 6 again. And “scientists” are mixing human DNA with animal, today! Strange creatures are washing up on our shores, today! The enemy has never stopped counterfeiting God and he is trying to “create” another race, a hybrid race. He must counterfeit God in all things because he thinks he is god! He certainly has gained a lot of “followers” and rules over a very large kingdom. It’s called earth. What powers and principalities is the Bible referring to? Colossians 2:15 “Having disarmed principalities and powers, He made a public spectacle of them, triumphing over them in it.” This affirms that they are not annihilated, but that their authority has been curbed. Satan has complete control over some and influences other people continually! Except for a select few, Christians. But even then we can fall under his influence with our thoughts and our mission includes resisting the enemy (and spreading the Word of the Good News), the Gospel of Jesus Christ. Continually. Luke 17:26-30 Believers must live in constant expectancy and readiness for Christ’s return, in contrast to the careless indifference of unbelievers who are absorbed in routine pursuits of life as though they were permanent. Are we maturing as Christians? Soldiers train for their battles. Are we in training? Remember as these demons advance and show themselves in an unprecedented manner, that they are JUST demons. They are already defeated but must make a great show of power and authority, of which they have none over Christians. God of Abraham, Isaac and Jacob is the High King, the all powerful One, the great I Am, Who Christians serve and believe in. If you are not yet a Christian, well, you’re in deep, and potentially eternal, trouble! We will need all the training we can get, for the battle-of-battles is at our doorstep. If you are a wayward Christian, or an unbeliever who is realizing with the rest of us that the world is changing at a rapid pace, and that we need the Lord Jesus as our individual, personal Savior, I invite you to pray this prayer and get hooked up with a Bible-pure church, pray and read your Bible daily, growing and building your spiritual man. Don’t look back, look forward. I am a sinner that needs forgiveness and I ask You to forgive me. I believe You are Savior and Lord Who Shed Your Blood and died for my sins to be forgiven, and rose from the dead; You live forever. 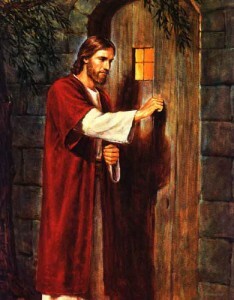 I turn from my sins (repent) and invite You Jesus Christ of Nazareth to come into my heart and life as Savior and Lord. Please, help me to glorify You in all I say and do. I want to trust and follow You as my Lord and personal Savior. In the all powerful Name of Jesus Christ of Nazareth I pray. Amen.